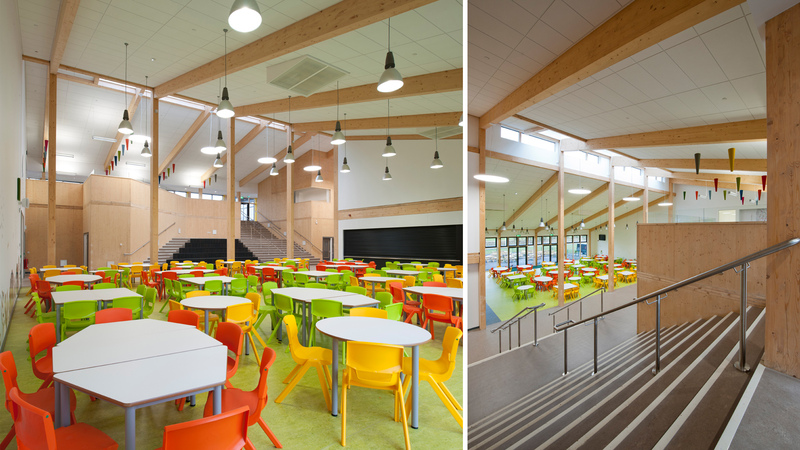 The new Kintore Midmill Primary School is the first major timber constructed school building in Scotland. 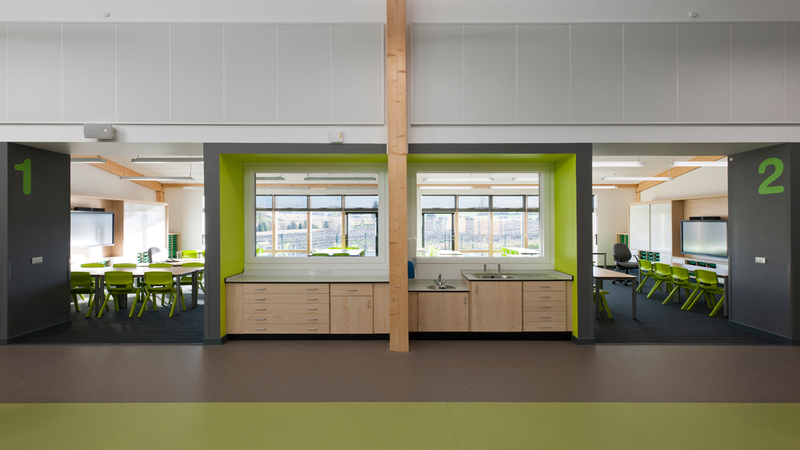 The timber provides an aesthetic backdrop to the learning environment. 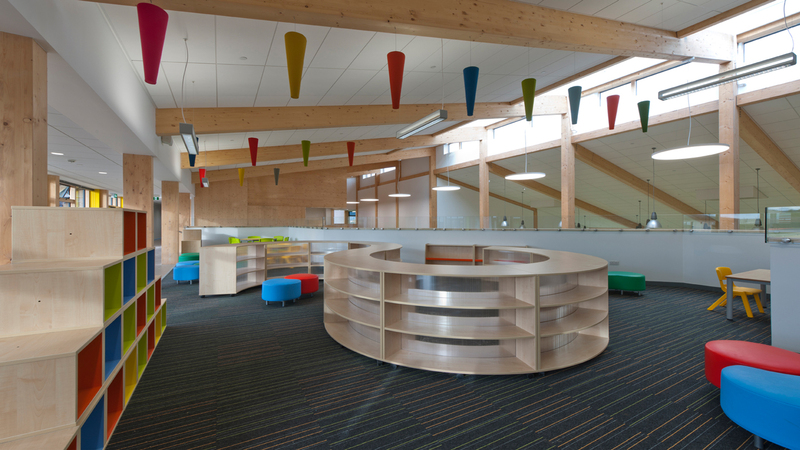 The project is a new build 100m x 100m U shaped school building, comprising a split level glulam framed design taking into account the flow, movement and usage of the spaces. 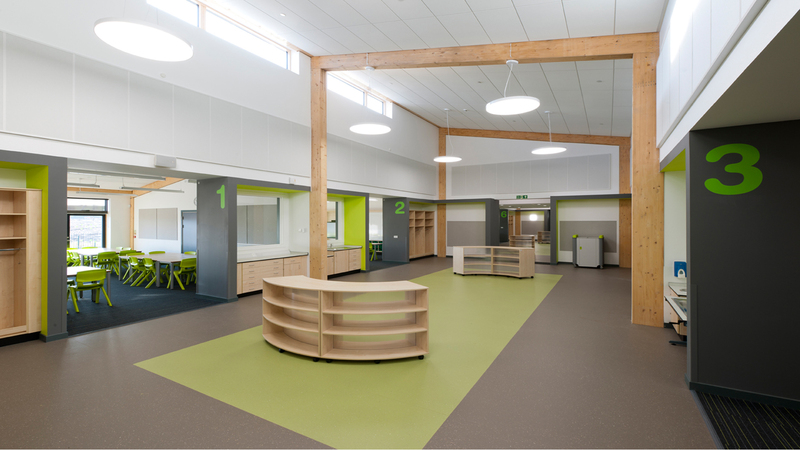 The two wings to the building consist of single storey accommodation comprising classrooms and circulation space. 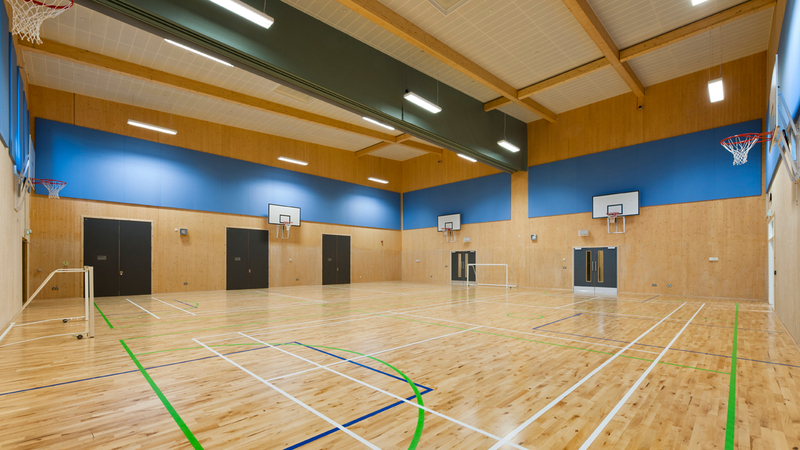 The main central section houses a sports hall, dining hall, staff areas and double storey spaces. This section is also where the new school assembly area is located. Due to uneven site levels the ground floor of the double height section is a storey below the wings. To access the two sections there is a new feature CLT staircase. The project includes artwork and interior design themed to reflect the local culture. 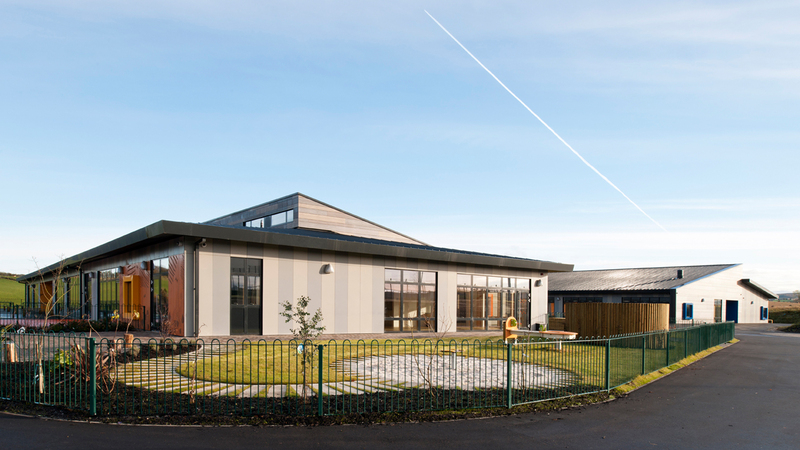 External works comprise a grass football pitch, artificial all weather pitch, roads, parking and playground spaces with landscape planting. 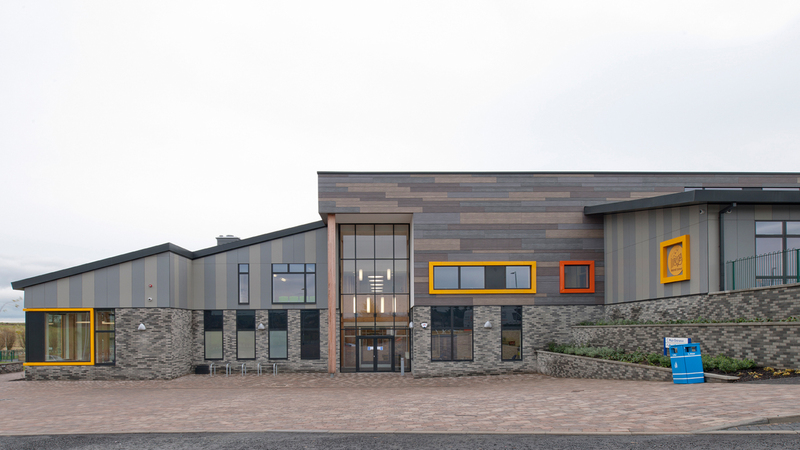 This project has been the vision of Aberdeenshire Council to create an exciting, ground breaking learning space for the new intake of pupils and to provide much needed primary school places for the growing village of Kintore.